Hand-Crafted wood bar tops sealed with a tough-as-nails Marine Finish. A premium wide plank walnut bar top for a residential project. The top has an ogee edge detail and a waterproof Marine Finish, a permanent finish that will hold up to the highest use and abuse. Walnut bar top topped with a permanent and waterproof Marine Finish. This bar top features a Chicago Bar Rail edge to give the top an overall classic look. A walnut bar top sealed with a Marine Finish. The Marine Finish is a low-maintenance and permanent finish that will not need refinishing. This is a water and stain proof finish that will hold up to the heavy use of a busy bar. The Marine Finish comes in a variety of sheen levels. One option is for a class high-polish Bar Top finish. This sheen provides a classic wood bar top look. A stained Walnut Bar Top with a matching classic Chicago Bar Rail. African Mahogany bar top for a residential project. Custom classic cherry bar top made for the Ardsley Country Club in Westchester, NY. A closeup on a Victorian wood bar rail. The bar top and rail match the lower bar cabinetry, and are sealed with a Marine Finish. A classic Chicago Bar Rail on a walnut bar top. The top is sealed with a permanent waterproof Marine Finish that provides a slight sheen on the wood. A residential wine bar with a two-tier walnut bar top with a classic bar rail detail. A classic cherry bar top with a Chicago Bar Rail and radius corner. A walnut wood bartop with a Marine Finish and radius corner. 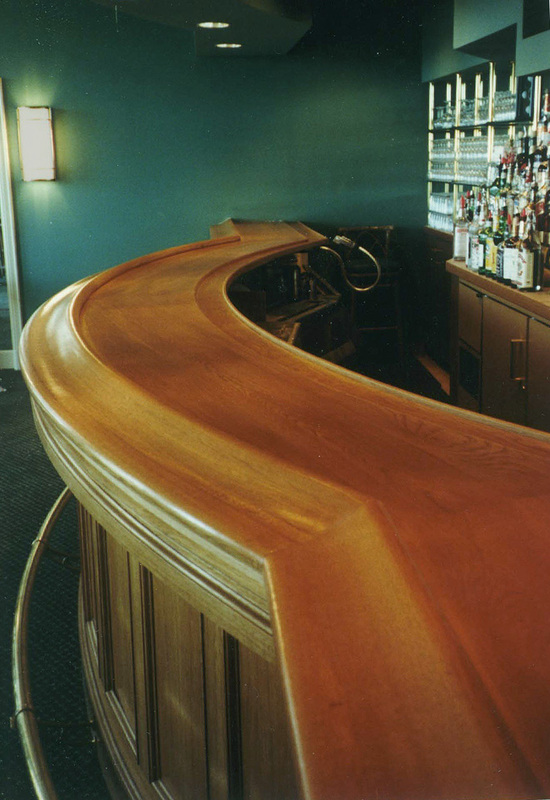 Curved walnut bar top with a Marine Finish and classic Chicago Bar Rail. Wood is a traditional material used for bar tops in restaurants, pubs, and residential bar areas. We offer wood bars in a variety of species, ranging from classic cherry and walnut to more exotic mahogany and zebrano tops. 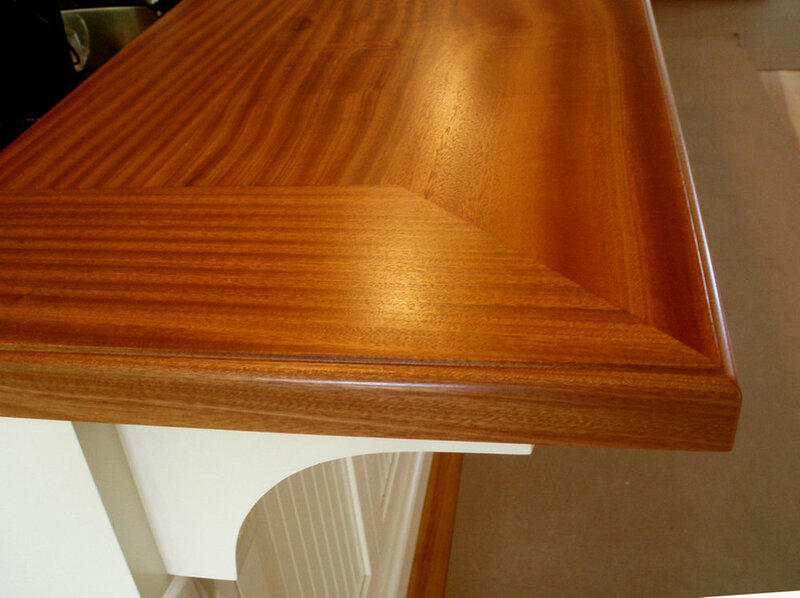 The most common finish used on wood bar tops is our signature Marine Finish. This finish is a tough as nails permanent finish that requires very little maintenance and needs no special attention to remain waterproof and stainproof. This furniture-like finish is tested and proven to stand the test of time at even the most busy establishments.